13th August 2018 - No Comments! On the 19th of July, 9 members of the EIT Alumni Community were invited to attend a 2-day Innovation Retreat at the idyllic Tataj Studios in Barcelona. The retreat, a prize offered by Tataj Innovation to the winning ideas of the EIT Alumni Startup Days - Barcelona, was designed to further develop those ideas created during our event, and connect them with key local stakeholders who have the capabilities and connections to make their ideas a reality. During the Barcelona startup Days participants where tasked to come up with feasible projects to re-reinvent Badalona, an industrial mid-size city in Spain. Once upon a time, this area was called the ‘Catalan Manchester’. Now it is an extension of the urban transformation known as 22@ Innovation District Barcelona. On the first day of the retreat, the participants were invited to work on their projects, practice their pitching, create campaigns for their projects, work on video designs, and make use of the team of experts assembled to assist them on their journey. On the second day the Mayor and deputy Mayor of Badalona were invited to the studio to listen to the pitches of the teams and to discuss how these ideas could be implemented. It was an inspirational couple of days, and a valuable opportunity to see the impact our community can have in Europe. It's great to see the potential of our community being harnessed in an area such as Badalona. Hopefully the teams continue to work closely with Tataj Studios and we can see some of the ideas implemented in the Badalona area in the near future! Europe and China, boost the local economy and revitalize the land. Merge Chinese and Catalan cultures connected by such values as the entrepreneurial spirit and respect for family and tradition. Develop Moll Capitana in the Badalona Port as the Artificial Intelligence Living Lab: a centralized hub for experiencing AI technologies and a multifunctional space for training and networking. Use the renowned ENDESA power plant with its three chimneys as the global signature building for AI future. Build an entirely energy neutral district, which combines public, commercial and residential land use. Develop a blueprint for new living schemes, a zero carbon footprint housing, green houses and urban farms, all connected by sustainable mobility solutions. Deploy Italian technology to create an artificial reef for surfers at Badalona the city with the longest coastline on the Mediterranean Sea. Build on Club Natacio Badalona renowned transitions to develop new sport disciplines and promote a healthy, balanced lifestyle. Turn the beloved power plant into a hotspot for social activity and innovation with a 3D Print Hub and a Makers’ Space for global entrepreneurs, innovators, artists, designers and visionaries. Many thanks to Daria Tataj and the team at Tataj Innovation for joining us in Barcelona for the Startup Days and for organising this fabulous retreat. We look forward to continued collaboration! 4th July 2018 - No Comments! On Saturday the 30th of June the Boards of the EIT's Alumni Communities assembled once more to discuss strategy, share knowledge, strengthen connections, and define the value of our Community at the annual EIT Alumni Board of Boards meeting. The EIT Alumni Community continues to expand, as more and more alumni graduate from EIT education and business acceleration programmes, but also as new Alumni Communities join our network of networks. This growth was certainly displayed at this meeting, where not only did we welcome 30 participants (double the number of last year! ), but we also had the delightful opportunity to welcome EIT Raw Materials Alumni into our family for the first time. Most importantly, of course, we got to know each other, and had the chance to better understand the motivations of why people want to actively engage in the EIT Alumni Community, a desire that was shared by everyone present. Following a brief round of updates from each Alumni Community, we dove into an intense discussion on a combined Community feedback presentation. This gave all participants the opportunity to outline what the EIT Alumni means to them, how the EIT Alumni positions itself as the 'umbrella' of the other Alumni Communities, and to explore the added value that arises from being part of a multidisciplinary network of networks such as ours. Much of the afternoon was taken up by knowledge exchange. Tables were divided into 5 topics: event organisation, leadership, community engagement, team-building, and social media. Participants were invited to flow around the room, engaging in which ever topic best suited them and their position in the EIT Alumni Community. The chance to exchange knowledge between Alumni Communities is one of the prime benefits of the Board of Boards meeting. All are at different stages of maturity, so an afternoon dedicated to the sharing of best practices was very popular among all who attended. Thanks again to everyone for attending! We are already looking forward to the next one! Stay tuned for upcoming action points and feedback from the meeting. 3rd July 2018 - No Comments! 3 EIT Alumni teams selected to take part in HEInnovate 2018! This June, three EIT Alumni teams were selected to take part in HEInnovate in Ruse, Bulgaria. The two-day event, designed to support institutional change in higher education in Europe, was organised by the European Commission, in partnership with the Bulgarian Ministry of Education and Science and Ruse University. A key part of the agenda was the 'Innovative Youth Expo', which featured entrepreneurial and innovative projects of students from Bulgaria and across the European Union. Following an internal selection procedure, the EIT Alumni was able to send three fantastic teams to showcase their ideas and represent our Community at the event. Of the three teams who attended, two were made up of EIT Health Alumni, and one of EIT Digital Alumni. Representing EIT Health Alumni: BLAir and Nevrotech. BLAir, consisting of two students from Romania; Maria and Nicholas, have created a life-support drone that offers a very fast response to cardiac arrest patients, therefore increasing their chances of survival from 6% to over 75% by decreasing emergency response time. They see a future where these drones can be strategically located across cities, and activated immediately to provide basic life support to those in cardiac arrest, keeping them alive until paramedics arrive. Nevrotech, based in Portugal, used the opportunity at HEInnovate to showcase their innovative method to treat phobias by connecting virtual reality and neurosciences. The idea for Trenvio was developed during the EIT Digital Master's School by six students who were studying in Sorbonne University in Paris. Trenvio, a combination of the words Travel and Envio (shipping in Spanish), is a crowd shipping company by which travelers work on commission to bring products to customers. The idea is to allow customers to purchase products which are either locally unavailable or of low quality. the Trenvio platform offers a safe and reliable alternative. Each team was given a specific stand during the expo and the chance to pitch their idea on stage to all participants. They were also invited to attend the rest of HEInnovate and make the most of the inspirational talks and informative workshops. Following the event, the teams got in touch with the EIT Alumni to express their pleasure at being selected to attend HEInnovate on behalf of our community. "Regarding the recent event hosted by the university of Ruse, I was pleased to find such talented students at a relatively unknown university but with a strong back in technology. By going around the Expo hall I was intrigued by the diversity of projects ranging from drones to tourism and from remotely controlled vehicles to sports cars and autonomous agricultural measuring instruments. During the two days of our visit we learned new and interesting details of future developments that are needed in the educational system and also the promoters of a good education. We participated at the Expo after winning an EIT Health Alumni competition to be selected on behalf of the EIT Alumni Association. As a conclusion I would say that this event was definitely a well rounded event as it included all major stakeholder of education from pupils to national and international figures.” Nicholas Kormos, BLAir. It is great to see the EIT Alumni taking an active role in activities such as this. Keep up to date with our social media channels for updates on other ways which you can put your entrepreneurial talents to use, attend exciting events and support the EIT Alumni Community. 25th June 2018 - No Comments! The European Social Innovation Competition is an initiative of the European Commission that awards three 50.000 Euro prizes per year to the most innovative ideas developed to address social issues in EU Member States and beyond. Now, in its seventh year, the theme of RE:THINK LOCAL, is calling on projects that make use of locations unique characteristics to create opportunities for young people in our changing economy. The competition is held in memory of the Portuguese innovator Diogo Vasconcelos, and is a great opportunity for talented people to get their social innovation idea off the ground. EIT Digital alumna Dora Palfi, co-founder of Women@EIT, decided to make the most of this fantastic opportunity. She is the CEO and Co-Founder of ImagiCase and joined the competition with her startup. Her company, based in Sweden, wants to provide a mobile platform for tangible and expressive coding education, built by girls for girls. The platform pairs with imagiCase devices, a phone case with an embedded LED matrix that can be programmed to display any text or pattern. This way users learn to code by customising their own accessory. This year, the competition was very tough, only 30 projects out of 731 eligible entries from 39 countries have been selected to enter the next phase of the competition! It's a huge success already that ImagiCase is one of them! Dora and Imagicase are now moving to the next stage: an intensive three-day training programme called “The Academy”, which this year takes place in the beautiful city of Cluj in Romania. Here, the 30 semi-finalist projects will receive mentorship from experienced social innovators and entrepreneurs, and will have the opportunity to develop what, for many is just an idea at this stage, into a viable business proposition. Of course, they all hope to secure a place among the 10 finalists in the next selection round, and to, ultimately, be one of the 3 winners in the November final. We want to wish Dora the best of luck with the next stages of the competition, and many congratulations for her great achievements thus far! 21st June 2018 - No Comments! On 15-16 June 2018, the EIT RawMaterials Alumni Association kicked off its inaugural meeting in Berlin. A diverse group of 25 participants from 17 countries participated in the event, all of whom had taken part in educational programmes, start-ups and business competitions supported by EIT RawMaterials. The enthusiastic group of students, entrepreneurs and other members of the Raw Materials community, who had travelled from around Europe for the event, took part in two evenings of social interaction and a full day of workshops, discussions and networking at a co-working space in Berlin. After opening remarks and an introduction to the education and business development activities of EIT RawMaterials by Dr Rima Dapous, Director of Education at EIT RawMaterials, and Mikko Korhonen, Business Developer at EIT RawMaterials, the stage was set for the participants to brainstorm on what the alumni network should offer and on how they would like to get involved. In different breakout sessions, participants presented their visions for the alumni association, with four groups discussing and presenting on career development, business development, mentoring, and lifelong learning courses. The discussions generated a wealth of exciting ideas on how to deliver benefits to the EIT RawMaterials Alumni and the sector as a whole, by connecting and sharing expertise from across the community through different events and activities. In a speed dating session, participants went on multiple “networking dates” of 7 minutes. Each participant created cards for ideas they are interested in “selling” and “buying” for which they are seeking collaborators, partners, investors, advice, or expertise. This exercise generated lively discussions and fostered early collaboration between participants. With the help of a booklet with pictures and bio texts of all participants, the session was a best practice example of the wide range of networking, collaboration and mentoring opportunities that can be enjoyed as part of the EIT RawMaterials Alumni Association. The day ended with information about the existing EIT Alumni Community, including a live discussion with Francesco Bonadiman, currently the Community Officer of the EIT Alumni Board. and the President of the EIT Digital Alumni Board. Finally, the formation of the founding EIT RawMaterials Alumni Board took place, by which time a wealth of connections, friendships and ideas had been created – a fantastic taste of the future of our EIT RawMaterials Alumni Association. 12th June 2018 - No Comments! EIT Award winner and EIT InnoEnergy alumnus Allen Mohammadi's start-up Hippogriff AB won the Global Entrepreneurship Network (GEN) start-up competition. Hippogriff AB has developed Heartstrings, an accurate, non invasive and low-cost technology for screening and early diagnosis of heart disease. The Global Entrepreneurship Network's Startup Open recognises the top promising young firms that have yet to raise any outside capital from angel investors, venture capital firms or other formal sources of seed funding. 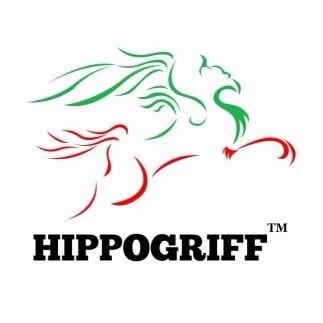 Hippogriff AB won the competition because of its potential to make a change with their ground breaking technology, beating more than 1 000 start-ups from 82 different countries. Hippogriff AB has won membership to the GEN Starters Club, which will give them access to GEN mentors in 170 countries, enhanced exposure and network opportunities around the world. Allen Mohammadi is an EIT alumnus of the EIT InnoEnergy Master in Energy Technologies that explores a broad range of energy technologies, engineering disciplines and business models. Mohammadi co-founded Hippogriff AB with his brother and has had impressive achievements since their founding. They have been featured on the Forbes 30 under 30 list and in 2016 Allen Mohammadi won the EIT Change Award, the award that celebrates entrepreneurial graduates from EIT labelled education programmes. 16th May 2018 - No Comments! Our biggest annual event, bringing together EIT Digital Alumni, the CommUnity by InnoEnergy, EIT Health Alumni, EIT Climate-KIC Alumni, and EIT Raw Materials alumni is fast approaching! We are looking for dedicated and enthusiastic alumni to help with the facilitation and organisation of EIT Alumni CONNECT 2018! Taking place on the 5th of October in Budapest more than 100 EIT alumni and students will come together to share their knowledge, enthusiasm and experiences with each other at EIT CONNECT. This year we are holding our event independently from the EIT's INNOVEIT. This means we really have the opportunity to shape this event as we like, and create something truly memorable..
We would like you, the alumni, to be as involved as possible in the organisation of this events and so offer the following ways for you to get involved. Have a read of the calls, see where your skills may be applicable, and get involved! On Saturday the 5th of May, the EIT Alumni held the second edition of the 2018 EIT Alumni Startup Days. Following on from a successful event in Barcelona, which invited those involved to redesign the port of Badalona, this event took a more technical direction, challenging participants to expand the use-cases of Blockchain technologies for the benefit of society. leveraging on the hype of Blockchain as one of the most disruptive technologies of 2018, and the business model orientated format of the EIT Alumni Startup Days, this event drew a lot of interest from alumni in Berlin, attracting a fine balance of highly skilled Blockchain enthusiasts, and Blockchain 'first timers' eager to throw their own ideas into the mix, while also learning a thing or two about this innovative technology. How do we use blockchain technology to decentralise and democratise our inefficient systems?. Oriol Pujoldevall, a Business Development Associate at the EWF, and EIT InnoEnergy Alumnus kicked off the day by explaining a little about the platform his company work on, and why they decided to purposefully shape day's challenge in vague terms, to open it up to all sectors. Following the same structured sessions as the Barcelona edition, teams began to take shape as a plethora of ideas were thrown around the room. Under the guiding hands of Francesco Bonadiman, the moderator for the day, the teams then got down to the details of their business models and prepared for the pitching competition at the end of the day. Taking full advantage of Berlin in spring, some of the groups even decided to take their ideation process outside, soaking up the innovative surroundings of the Green Garage campus, and making use of some of the on-site activities when they felt like they needed a break. At the end of a productive day, three teams took to the stage to present to our expert jury made up of Rosen Dimov (IYPF), Oriol Pujoldevall (EWF), and Xin Hu (Match X). Use Blockchain to tokenize prescriptions to make the system more efficient and reduce costs. Regulate the recycling of plastic, and ensure fair pay for plastic collectors in developing countries. Using Blockchain to create a stock market for startups, using crypto-currencies. Finally, over some well-deserved Vietnamese curry, the jury announced their decision to award 1st prize to team Med Ac. They were given an EIT Alumni Raspberry Pi 3, and exclusive access to incubator.coop. An international incubator run by the IYPF, which will give Med Ac the chance to properly take their idea to the next level. We look forward to hearing how all the teams progress! Thanks again to our dedicated coaches and jury, our organising team, and all the participants who took the time to join us for this edition of the EIT Alumni Startup Days. You can view the full photo album here. 30th April 2018 - No Comments! In what proved to be a great collaboration between EIT Alumni board members past and present, on the 12th of April, former EIT Alumni President, Estefania Tapias, spoke at Speck&Tech, an event co-organised by our current EIT Alumni Community Officer, Francesco Bonadiman as part of Trento Smart City Week 2018. The main topic of the week was 'Future Cities'. With the event title: "From Smart Cities to Responsive Cities: how to bring citizens back to the center of urban planning processes", Estefania was the first speaker of the night. Her talk looked at how a Responsive City can be seen as the next generation in urban development after the Smart City. Cities become first smart and then responsive and the two are differentiated by the dynamic behavior evident in responsive cities. Smart Cities are technology-driven and produce large amounts of data, and so Smart Cities and Smart Buildings are in an early stage of development, as every building and every city is a prototype. The Responsive City builds on Smart City technology, but places humans at the centre of decision-making, design, and management of the city. It uses the stocks and flows of information as the main driver of change. Data for the Responsive City come from smart buildings, smart infrastructure, and most important, from its citizens. To deepen the knowledge about Responsive Cities, we define the concept of Citizen Design Science, a combination of Citizen Science and Urban Design. Both are conducted, in whole or in part, by citizens or non-professional scientists. This approach is still in an early stage of development and, with the Responsive Cities research, we aim to explore its potential together with participants around the world. Watch Speck&Tech's awesome video coverage of the event here! 26th April 2018 - No Comments! On behalf of the EIT Alumni, I was invited to the EURODOC Conference 2018 in Tampere as a speaker on the topic “Research career – a living dream?”. As the title suggests, most participants had an academic background, either as a researcher, PhD candidate, professor or post-doc. They all agreed that the landscape for an academic career is changing and that there is a challenging future ahead of us. While the number of PhD graduates is increasing, the academic career options are decreasing. To preprare for my talk I listened to my personal network, talking to two PhD graduates who exchanged their academic career for an entrepreneurial adventure. Here, I would like to thank Sandro, CTO of Thermovault, and Alex co-founder of Caala for their inspiring input! Second, an external opinion on one’s topic can actually be the trigger to leave the academic path and pivot towards starting your own company. I received feedback from many PhD candidates, that being exposed in depth to one topic feels like wearing blinders to alternatives. This is one of the benefits of the EIT Alumni. Being part of an interdisciplinary community allows you to step outside your field and gain invaluable expertise from fellow innovators from other sectors. I took this as my mission for the conference, to encourage PhD candidates to combinine their academic knowledge with industry contacts and venture into the entrepreneurial world. You can watch Falko's presentation here. The EIT supports the creation of tomorrow’s entrepreneurs and promotes a real change of mindset towards an entrepreneurial culture and attitude. With this perspective, the EIT's various Knowledge Innovation Communities (KICs) have developed their own PhD and Master's programmes that have a very strong focus on the delivery of entrepreneurship and innovation skills. All EIT Climate-KIC's Ph.D. candidates work on solutions that either have a clear path to climate innovation or directly support one or more of EIT Climate-KIC's main climate change challenges.Students will participate in the Journey, an intensive climate innovation summer school and can follow up with the EIT Climate-KIC PhD Catapult. The EIT Digital Doctoral School educates the technical leaders and entrepreneurs needed in Europe. The EIT Digital Doctoral School provides, as one of the few European academic institutions, industry embedded, market focused industrial doctorates. The Industrial Doctorates bridge the present to the future to lead the digital transformation. Join the sustainable energy revolution and boost your personal and career prospects. Combine your current PhD studies with customised training in innovation and entrepreneurship. Positions throughout Europe. Mobility support included. The EIT InnoEnergy PhD School is tailored for students who have technical excellence together with a drive for Business and Entrepreneurship (B&E). EIT RawMaterials’ PhD Education strand provides students with an outstanding foundation for their future career. Programmes enable students to strengthen their technical expertise while fostering the entrepreneurial and innovation skills, knowledge and attitudes needed to ensure a sustainable future for the raw materials sector. Read more about the EIT Raw Materials PhD programmes here. Eurodoc’s mission is to represent and consolidate the community of doctoral candidates and junior researchers in Europe in their pursuit of a decent professional life. We aim to be the effective and efficient voice of doctoral candidates and junior researchers at the European level. Their vision is an ERA (European Research Area) and EHEA (European Higher Education Area) in which doctoral candidates and junior researchers are duly recognised and respected for the essential roles they play.